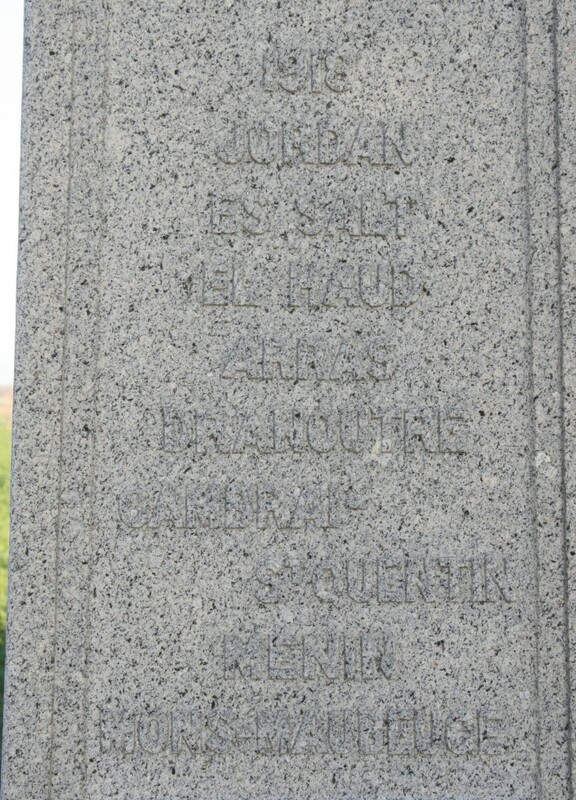 Just north of Messines village, by the side of the road to Wytschaete, stands this memorial to the London Scottish, listing their battle honours on the Western Front and elsewhere during the Great War. 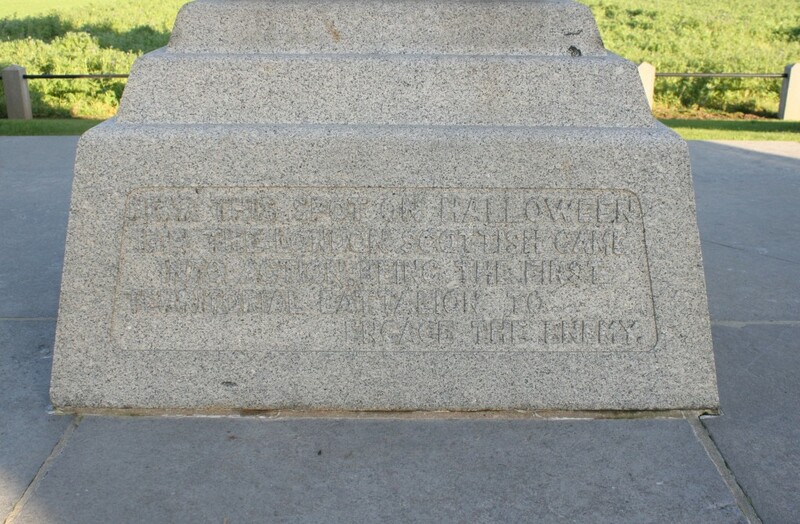 The inscription on its base states ‘Near this spot on Halloween 1914 the London Scottish came into action, being the first Territorial battalion to engage the enemy’. 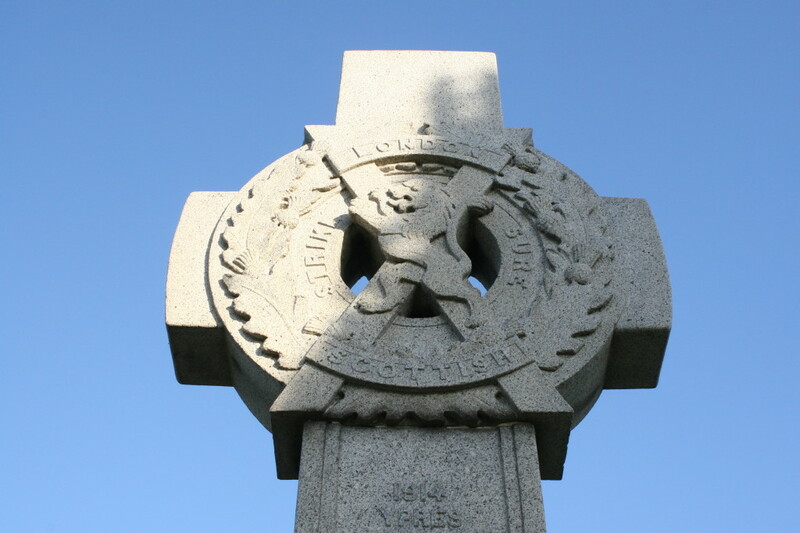 The Scots held firm in the face of continuous German attacks on the night of 31st October 1914, suffering more than 400 casualties before they were eventually withdrawn. 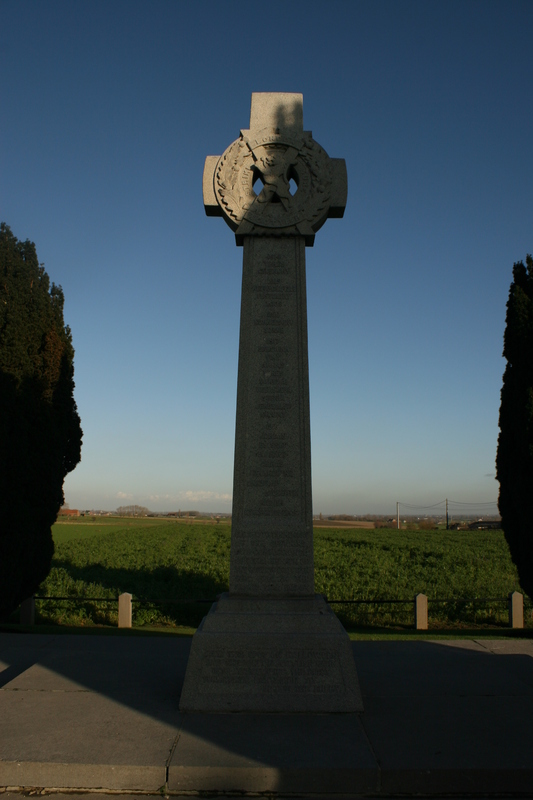 The memorial, unveiled by Earl Haig and King Albert in May 1923, is sited on the approximate line of the Scottish trenches. The view the London Scottish would have had as the Germans advanced towards them. 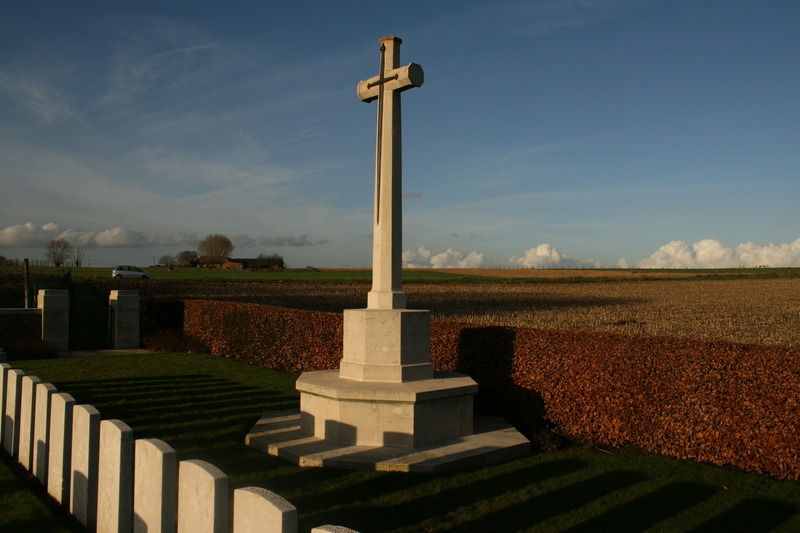 And also, of course, the view that the men who stormed the ridge on 7th June 1917 would have had. 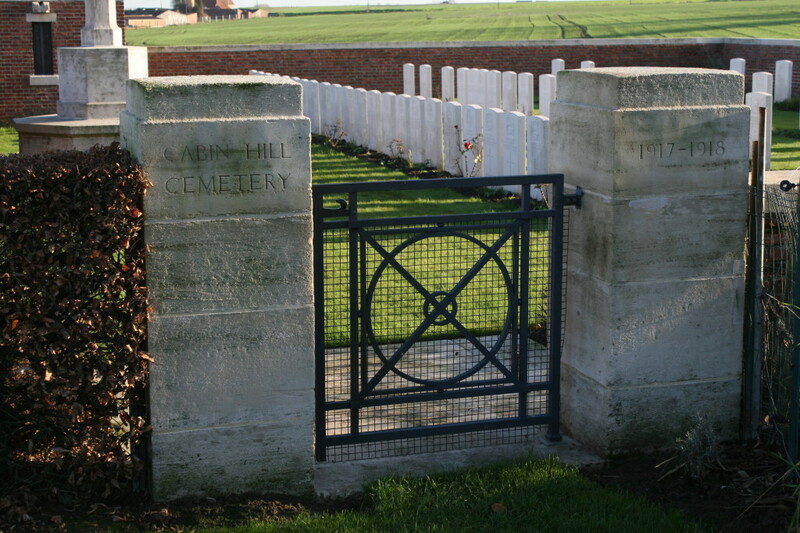 The next cemetery on our tour, Cabin Hill Cemetery, is situated half a mile away in the fields beyond the memorial. 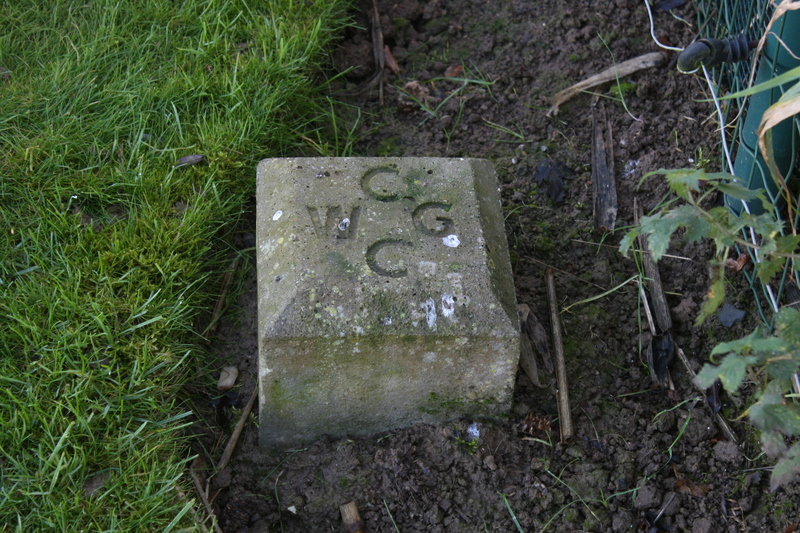 …we find the little battlefield cemetery of Cabin Hill. There are 67 burials here, all of whom, unusually perhaps, are identified. 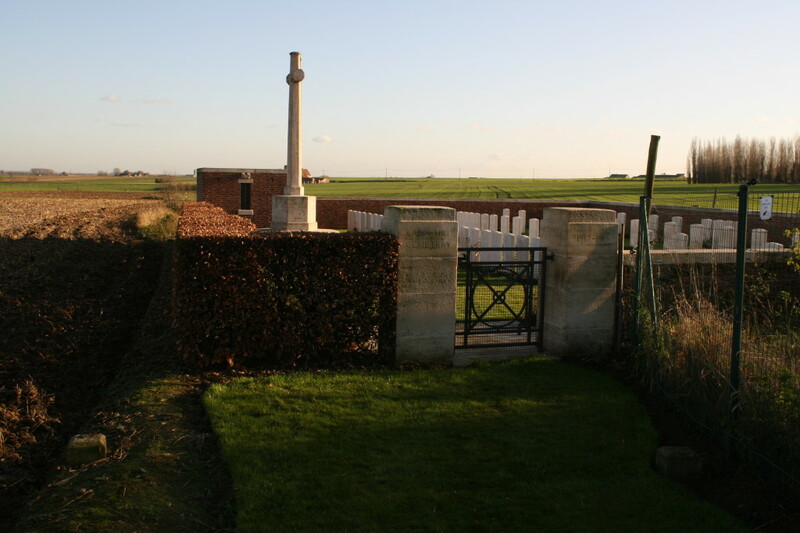 The first burial was made here on 12th June 1917, the cemetery was used fairly regularly until September, and then sporadically until the final burial in March 1918. 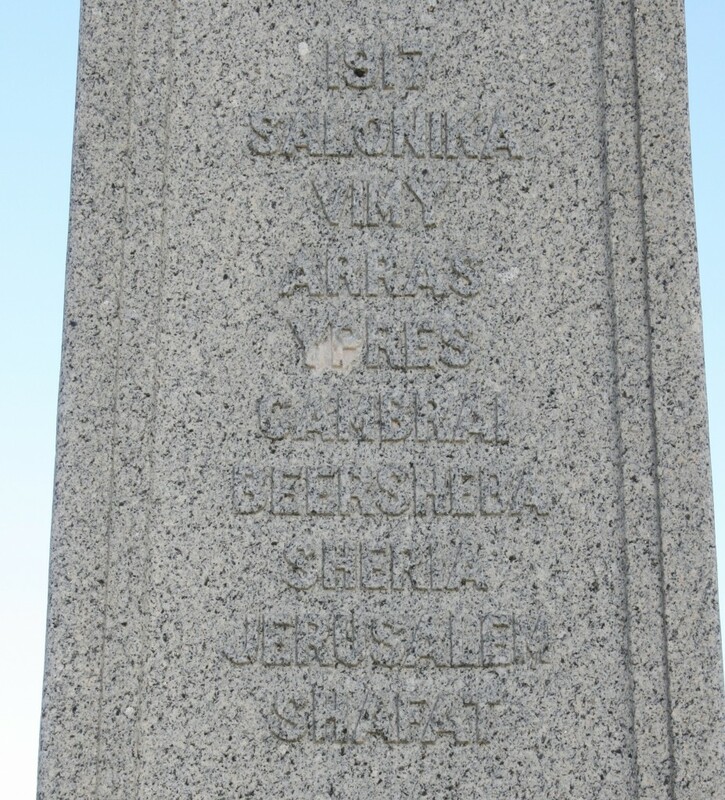 After the successful capture of the ridge in the first few hours following the mine explosions early on the morning of 7th June 1917, the work of consolidating their gains befell the troops now desperately seeking shelter on the crest of the ridge. 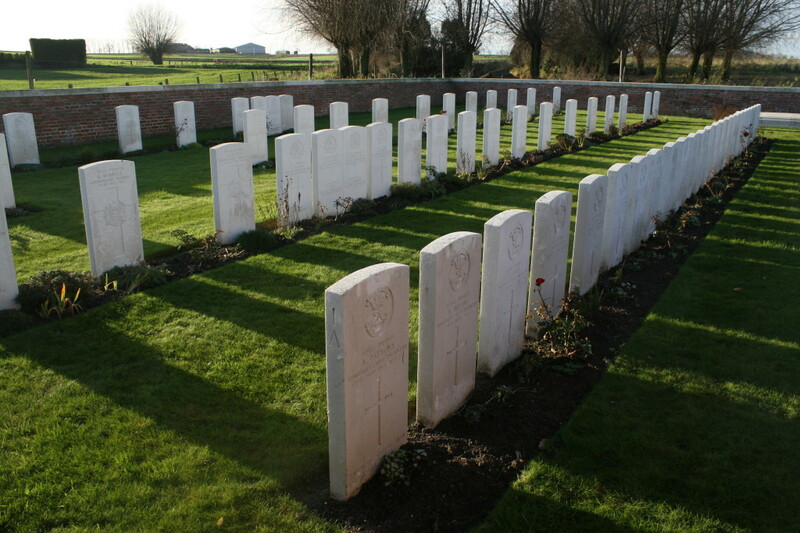 Casualties so far had been far fewer than anticipated, and far more men than expected were crowding the captured German trenches, many dangerously exposed to the machine guns sited along the German third line (the Oosttaverne Line to the British), less than a mile away to the east. The German machine gunners, along with their artillery cousins, saw to it that the British casualty rate began to increase alarmingly. 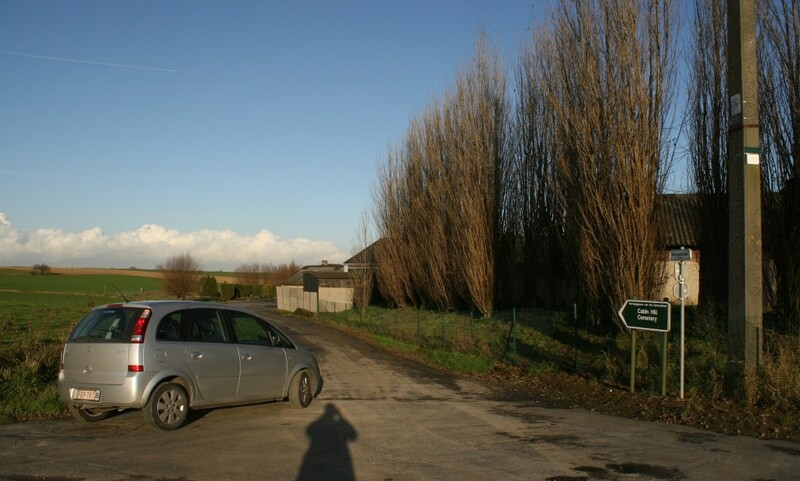 The Oosttaverne Line would need to be taken, and at 3.10 pm on the afternoon of 7th June, exactly twelve hours after the start of the offensive, the British went over the top once again. 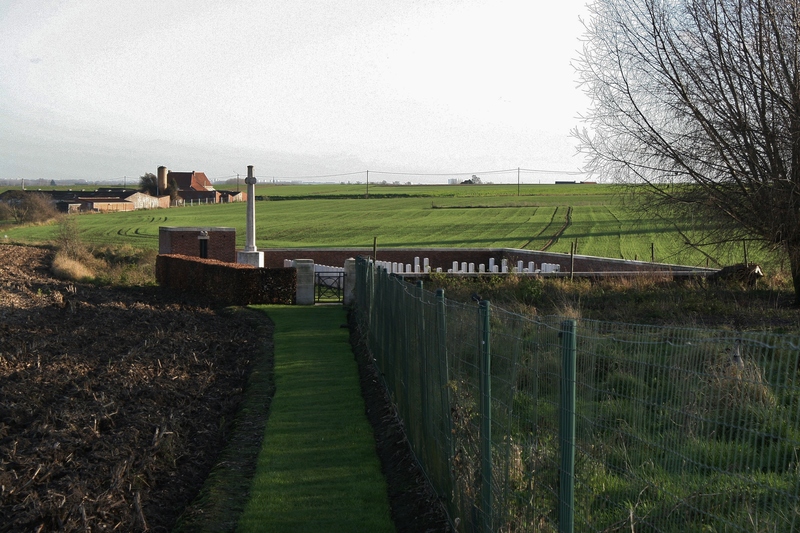 Although much of the Oosttaverne Line was taken by day’s end, confusion over the next two days prevented sections from being captured before, late on the night of 10th June, the Germans evacuated the Line and withdrew eastwards to their fourth line of defense, the Warneton Line. 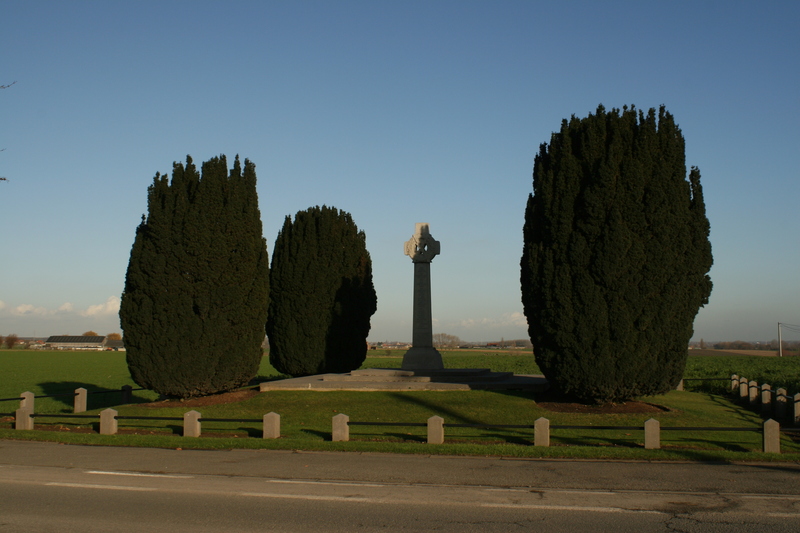 Over the next few days the British established a new front line to the east of the Oosttaverne Line, and by the 14th June the Battle of Messines was over. The German salient at Messines had been eradicated, and attention could now turn to the forthcoming offensive further north. After the battle, the Messines Ridge returned to the business of day-to-day trench warfare, and the casualties continued. 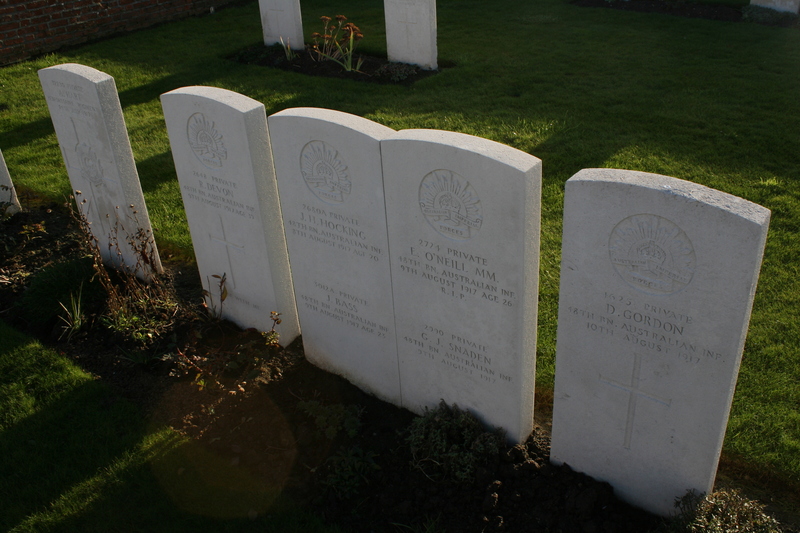 These six Privates of the 48th Battalion Australian Infantry were all killed between the 8th & 10th August 1917. 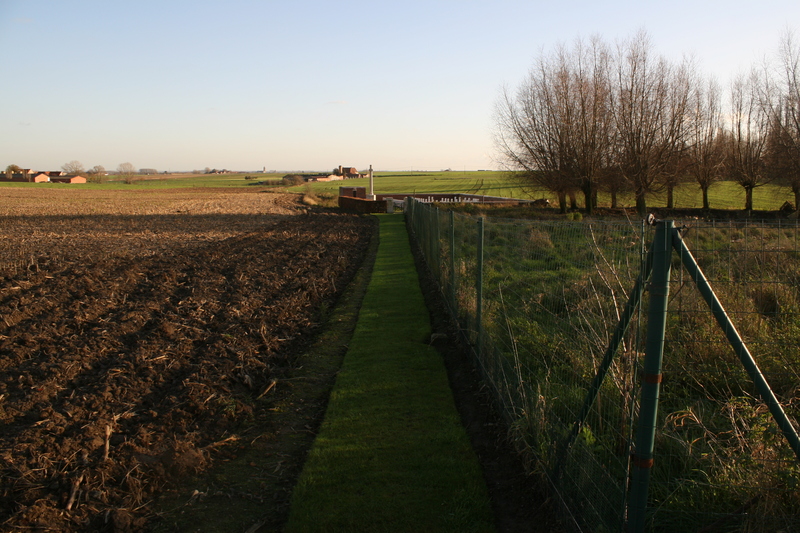 …this panoramic view looks north and east, over the land that would need to be crossed on the afternoon of 7th June 1917 in order to capture the Oosttaverne Line. There is one final thing. 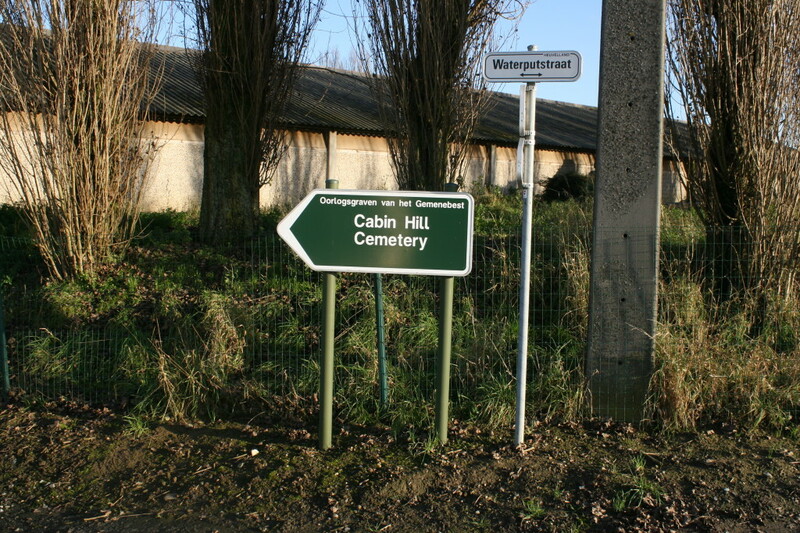 If you ever pay a visit to Cabin Hill Cemetery, be aware that it’s all a bit narrow as you get near, and there’s precious little room to turn the car round. Which is why, once again, we found ourselves, with our rear wheels spinning furiously, stuck in the mud. Luckily, on this occasion we managed to extricate ourselves with somewhat more ease than previously. Some vigorous (and muddy – as always – as the photo above, taken the following morning, proves) pushing saw us safely back on tarmac before too long – but we really must stop this mudlarking from becoming a habit, eh Balders? 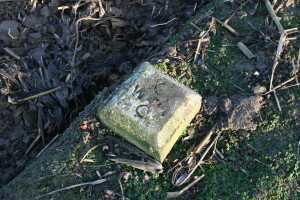 If not for the mudlarking, what heroic stories could us intrepid reporters dish up at the end of the day? Hooray for mudlarking! If you would like to read what I think is probably a good account of what 31 Oct 1914 was like, try “How Dear is Life” by Henry Williamson. Well I have certainly heard of it, and it sounds like I should read it. Thanks for the tip. Hello Gill. I imagine most people would stay in Ieper, but there are bound to be guest houses etc around Mesen (Messines) or Wytschaete. 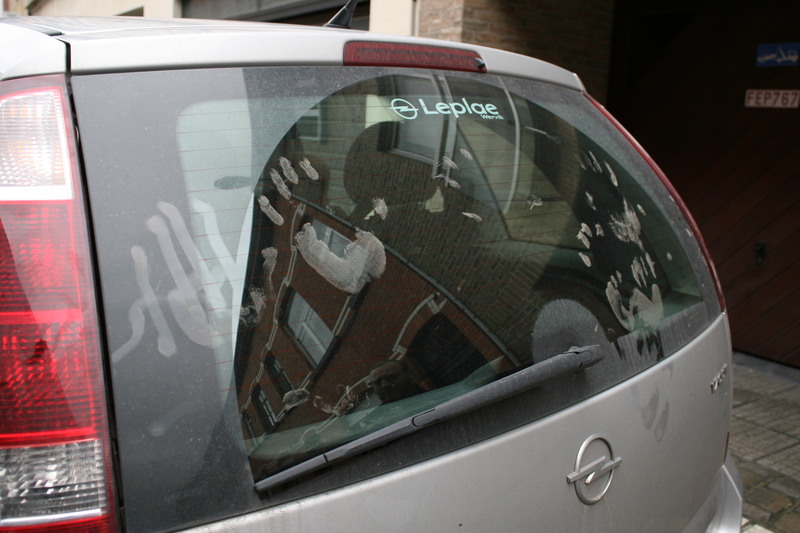 I reckon your best bet is to get in touch with the Ieper Tourist Board: http://www.toerismeieper.be/en. and see what they suggest. Thank you for the information on this page. My great gandfather fought in this conflict and returned home. 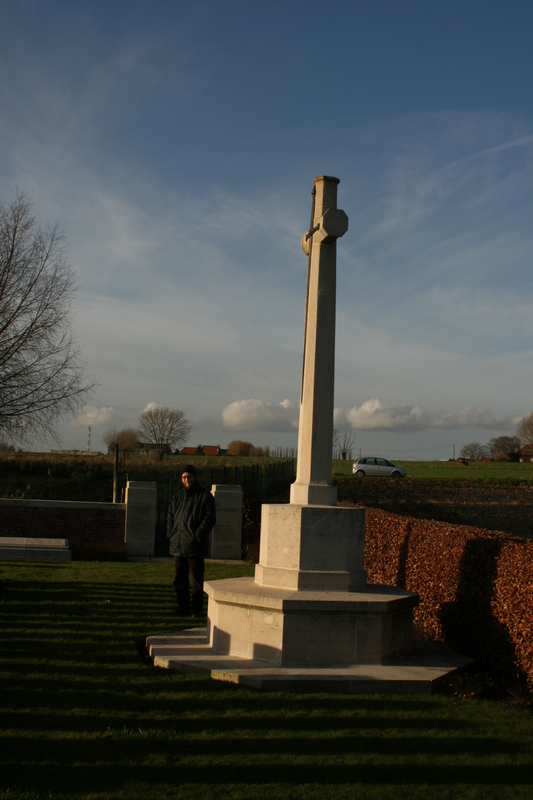 I have recently found out that his cousin Pte Robert Devon 2648 48th Battalion was killed in this location on the 9th August 2017 . So glad you were able to find your loved one. Cabin Hill is a tiny place and so out of the way. 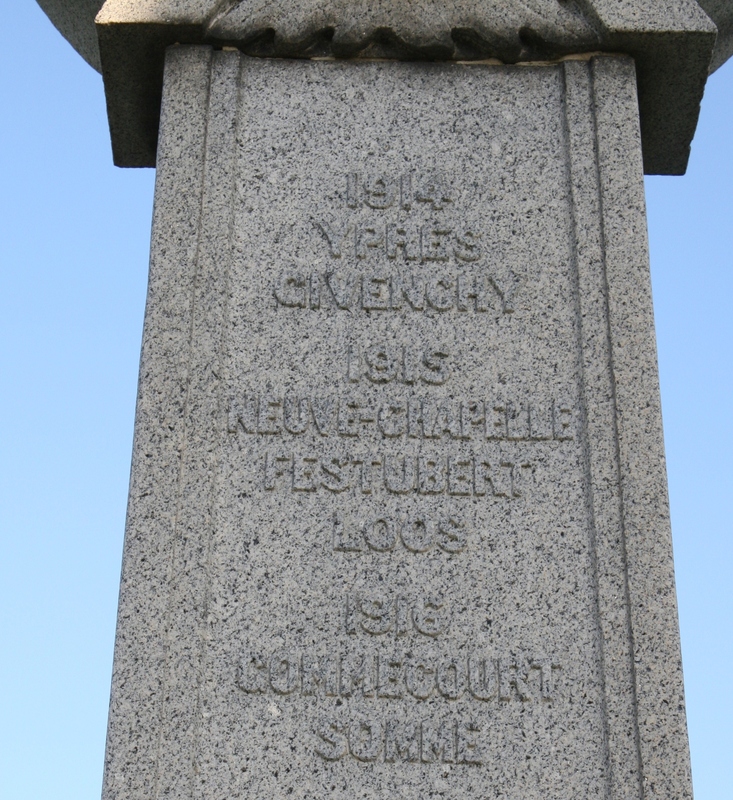 I hope to visit later on this year as it will be 100 yrs since my great uncle fell. I feel it my duty to pay my respects. Thankyou for your message. I will take photos and post them as and when I’ve been. Hello Stefirose. I have been called many things in my time – but seldom Gill, although Gill is one of my wonderful readers. 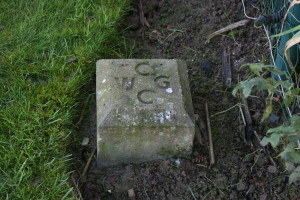 I am very glad that you have been able to see Private Robert Devon’s headstone; Cabin Hill is a beautiful little cemetery.